HomeGARDENHow to make organic pesticides at home without money. 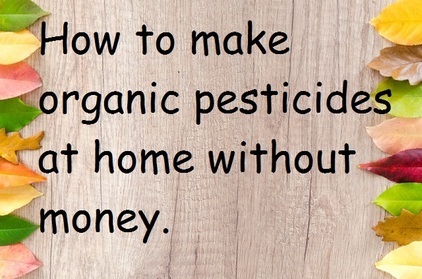 Make organic pesticides at home without money. Always use organic medicine in the home garden. Because there is no poison in organic medicine. But not everyone knows, how organic medicines are used and prepared. Organic pesticides can be found in stores but there are prices very much. But purchased from the store may not always be correct. Organic pesticides can be made at home without any money. Organic pesticides are very good for the garden. It does not cause any damage to the trees, and the environment is good. Always use organic pesticides. But some people use chemical pesticides to get early results. But they forget the chemical pesticides can cause the body's body to become bad and environmental pollution. Chemical pesticides can lead to many types of diseases, they cause serious health risks such as cancer, the nervous system diseases and many more. So always should use organic pesticides. Organic pesticides are made from tree bark and leaves. An organic pesticide is a form of medicine made from nature. The tree that is made organic pesticides can be easily planted in your garden. Neem Oil is the best pesticides. 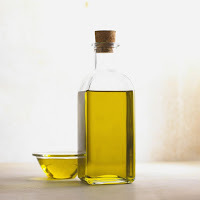 You will get neem oil in any gardening shop. But if you plant a neem tree then you will not have to buy neem oil from the shop. If there is no good organic pesticide than neem oil? 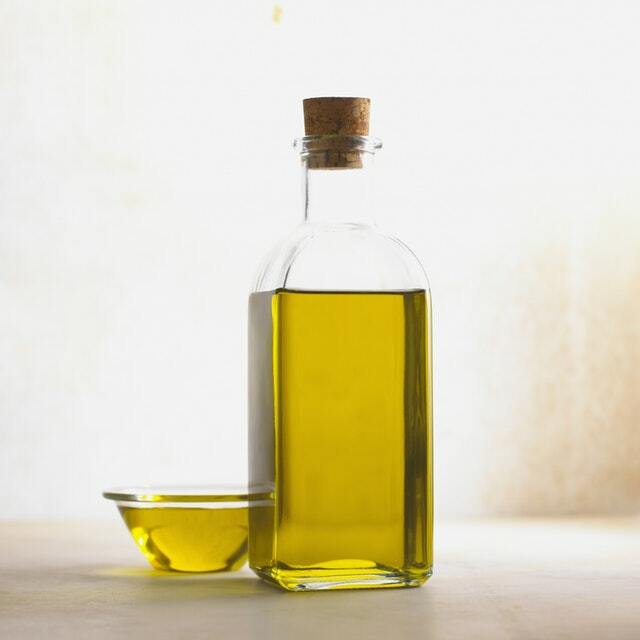 Surely, but today we just talk about neem oil. Neem oil is very good pesticides because there are aunty bacterial hens in the neem tree which helps to keep away the harmful pests. As a result, the garden plants grow very well. The worst enemy of a garden is the harmful pest. Because a whole garden can be damaged for harmful pests. Therefore, organic pesticides should be given according to the rules. At first, the leaves of the neem tree have to be collected. It can be found in the surroundings of the house, if you do not buy it, it will be bought by the shop. 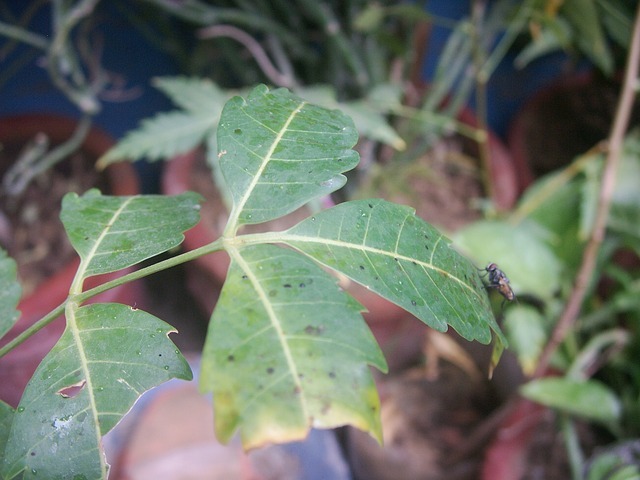 But, do not buy with the next time shop, plant a neem tree in your house. Take water in a bowl. Take water by understanding how many trees are there in the garden. Pour the neem leaves into a bowl of water. Place it on a stove. And heat well, if the color of the water is completely green, take it off. Cool the mixture well. Organic pesticides made in our home without money. It is very easy to use. The right time to use the pesticides is in the afternoon. Because it is not necessary to use any pesticides and fertilizer in the morning. Because the heat of the morning rudder is high. If pesticides or fertilizer are given in the heat, then the temperature of the tree increases which is harmful to the plant. Therefore, always should be used in the past with pesticide or fertilizer. Spray well with pesticide sprayer. 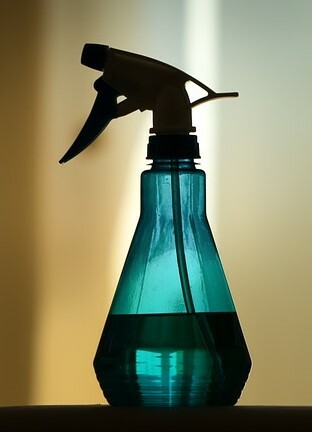 Spray twice a week, do not give twice more in the week. Because the leaves of the tree can dry very often due to spray.